Pristine, newer CBS 3/2/2 Pool Home meticulously maintained inside and out. Porcelain tiled porch. Heated, Oversized Pool (24x35). Large covered patio. Hi-end quartz counters in Dual Vanity Master Bath and Kitchen (including Pass-Thru to Patio). New Carrier AC 2017; hi-end berber carpet/ceramic tile interior. Chair rail and picture-frame accents in breakfast area/family room. Shutters. (TV in Mstr does not convey; wall mount will stay.) 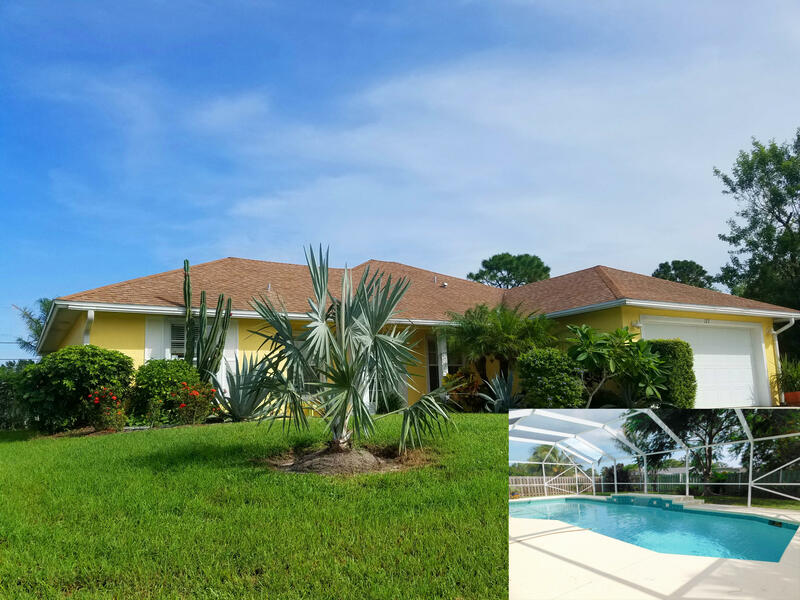 This Lovely Pool Home Shows Like New!